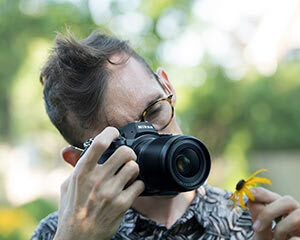 This course is ideal for individuals who have a good grasp of their digital SLR and would like to advance their technical skills while learning how to expand their photographic creativity. Morning, afternoon tea and lunch are included! The course is run by Nikon School, however all brands of DSLR camera are welcome! This exciting new course will take your creative and technical skills to the next level. Unlock features of your DSLR that you didn't know existed. Learn how to make amazing images, while advancing your technical skill. This hands on course will expand your creative capabilities, while building on your existing technical knowledge.